Turret Sleeving International restores OEM tolerances to the upper turret stations on the Amada Turret Punch Press with our proven turret restoration process. TSI’s turret refurbishing experts will install hardenedSteel Sleeves in the upper turret of your Amada punch press, which will restore the OEM specifications. 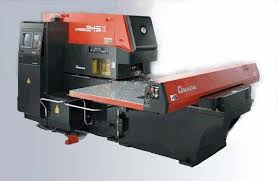 Any and All Amada Punch Presses.